ROADVISION’s IL70 Series recessed interior lamps are super bright, energy efficient and built to last a lifetime*. Perfect for down light applications, Roadvision’s IL70 Series interior lamps feature 24 super bright white LED’s and are available with either a white or chrome bezel. 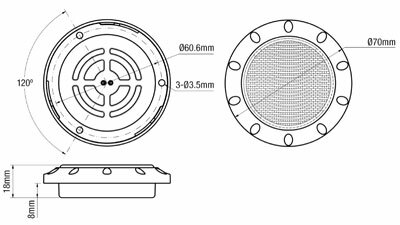 Utilizing a recessed mount design, the IL70 Series only protrudes 10mm from the mounting surface. The mounting screws are cleverly hidden beneath the screw on bezel resulting in an attractive flush mount appearance. Featuring a 70mm diameter bezel, 12V input, simple 2 wire connection, high impact ABS housing and polycarbonate lens, the IL70 Series are built to last a lifetime*. 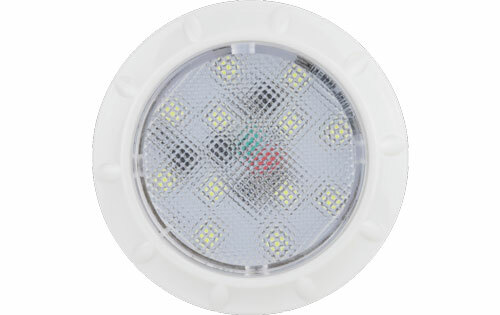 See the light with ROADVISION’s IL70 Series.